If someone asks you, “what is your love?” How do you answer it? PDTYLA is an art project by Shunji Hironaka and Kazuma Fujii. The project’s goal is to share “LOVE” and positive energy to people in need. 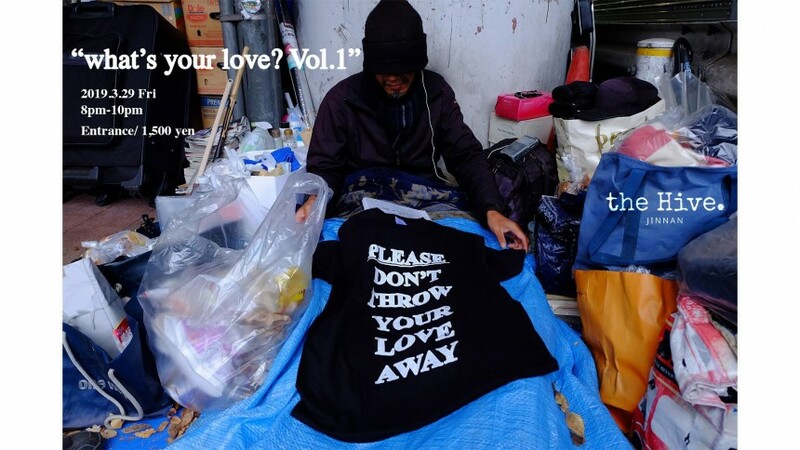 Since February in 2018, they started to give away clothes to the homeless as a way to connect and share their message of compassion through art. Each piece gives the wearer an opportunity to think about what the idea of love means. On this day, we will also have live music performances by Tokyo local artists, and there is also an opportunity to send your energy to people in need by drawing your message to the clothes that they give away to homeless. Grab some drinks, enjoy some art/ music, let’s have a good time.